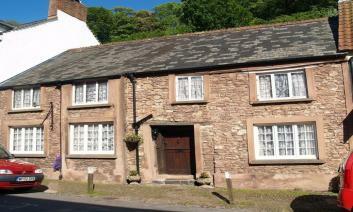 Holiday cottages in Dunster; an iconic and charming medieval village, with everything to offer. There are plentiful pubs, restaurants, shops and walks into the surrounding countryside. Dunster is a great spot for couples, families or groups. Whether you want a quiet getaway or a busy Exmoor village experience, Dunster makes a fantastic holiday base location. Please find below a selection of self catering holiday cottages to rent in or near Dunster. If you want to make your next holiday unique and experience the old times, plan a trip to Dunster. Among the most popular places on Exmoor for holiday, is the beautiful village of Dunster. It is a medieval village that comprises of over a hundred buildings, that consists of a castle, priory, dovecote, inns, yarn markets, bridges and even a mill. The village is preserved so that people can come and enjoy the historic qualities, heritage and culture of this unique village. Situated in the wide hills of Exmoor National park, Dunster provides the ideal base for your holiday in the South West of England. This amiable and historic village is open all year round and is accessible by coach, car and steam train. Make your holiday worth telling your friends by visiting this amazing village for your holiday this year. Whether your holiday is for simply a day or two or a longer period of time, you will certainly enjoy your time with a wide variety of pubs, restaurants, shops, and moreover, with our self-catering cottages especially for holidays, you will surely enjoy your stay. 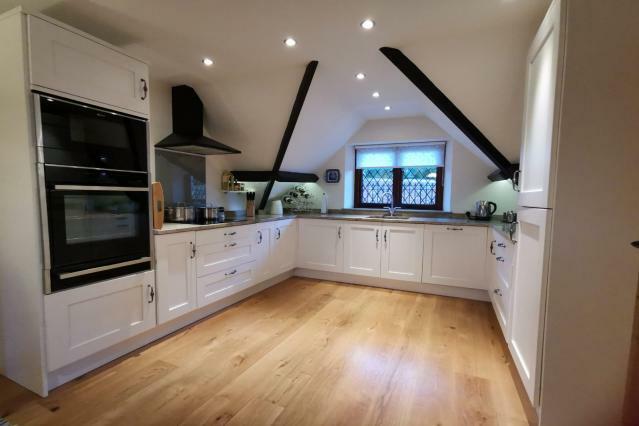 We offer all sorts of holiday cottages depending upon your need and your preferences, whether you want a luxuries cottage, or a dog-friendly cottage, we have got it all covered. Moreover, we have cottages all around Dunster, so if you prefer a place near a restaurant, or you like to do early morning yoga in the park, make sure you go through our cottages to find one near your preferred place. Whether it is just you and your partner coming for a holiday in Dunster or your whole family members, we have self-catering cottages available for everyone. 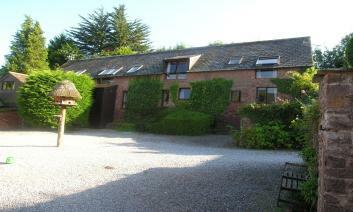 Find here the best selection of holiday accommodation in Dunster. If you looking for a place to stay in Dunster, you can find here a selection of holiday cottages and self-catering cottages which are dog-friendly and sleeping guests up to 8. Search here for a holiday accommodation and book online. 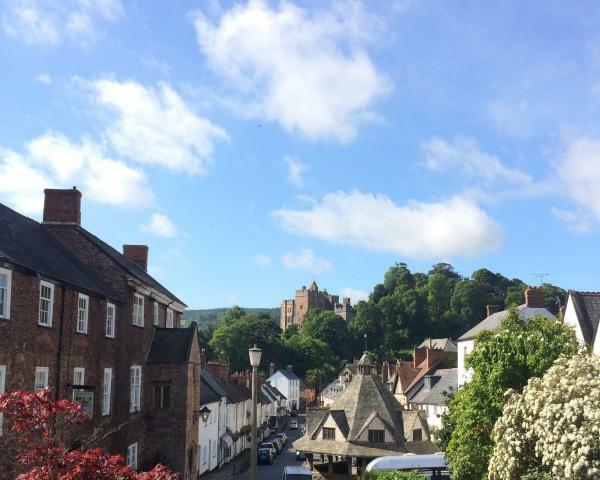 The best way to explore Dunster is to go all the way around and to see the range of buildings that are here that tell the story of the place over the last seven hundred years. This is done a lot down here and it is an amazing building and if you think about it, it was built in the early 1600’s which makes it 400 years old. From the village of Dunster, you can take many walks up to conygar tower, giant’s chair, or explore the iron age heritage at Bat’s castle. And if you are lucky, you may be blessed with a fight of a red deer or Exmoor pony. As children, we sort of learnt about medieval history. We have learnt medieval England, and dance is the perfect act that captures that spirit, along with the castle that’s present at Dunster, and all these buildings around Dunster, evoke this sense of medieval-ness. Bringing your children to Dunster on your holiday will be a great way for teaching your children about history and heritage, as children respond really well when they see surroundings. Dunster has everything, it has a castle at one end, a church behind that was a priory, and there is a park and many more wonderful buildings like dovecotes, Galax Bridge of medieval times. In simpler words, it’s a fantastic place to visit. Even though all the buildings in Dunster do tell you a lot about the history of Dunster, visiting the museum will give you a lot more intel. Learn the beautiful story of this beautiful medieval village and travel through time from its foundation which was 3,000 years ago to the current time at Dunster's new community Museum. Explore the village's exciting history, hear narratives of Viking raids and bloodshed in the Civil War, stories of romance in the time of Lords and Ladies and see how history has marked this pleasant place. There's a lot of work still going in the museum, so that the local community, along with the visitors, learn a lot about the place. Visit and explore one of the largest doll collection started by Mrs Mollie. Dramatically located on a wooded hill, the castle has been there since Norman times. Consisting of a remarkable medieval gatehouse and the ruined tower which gives cues of its turbulent past. The Castle as late as Medieval times had the sea at its base during the past and now commands spectacular views across the Bristol Channel and Exmoor. You can witness amazing, breathtaking views from the castle. The castle that exists today was remade into a lavish country home by Antony Salvin during 1868 and 1872, for the Luttrell family, who stayed there for 600 years. The Luttrells bought the home from the Norman de Mohuns, who had been granted the lands at Dunster by William the Conqueror for services at the Battle of Hastings. The Luttrells gave the Castle to the National Trust in 1976 and now live in East Quantoxhead. If you Love to explore independent shops with and diverse flavour touch then discover what Dunster has in store for your holiday. You can find home-made chocolate, hand-made and crafted gifts for your home or gardens, beautiful local paintings, stylish clothing or even a modified designer wedding dress. There are many stores around the village to be visited. From Christmas shopping to designer modified clothes, you will find diverse items that you would want to take home. Dunster offers a variety of amazing restaurants and shops that give you the option of choosing between different foods and sweets. Either eat your lunch in a cosy fireside pub or experience fine dining, you will find what you are looking for in Dunster. We have cottages near food shops so that you don’t have to travel far for enjoying amazing food. 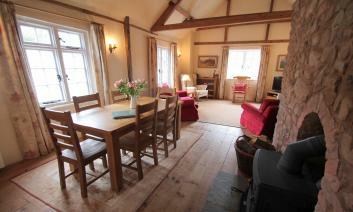 Go through our cottages and book the perfect one for your holiday at Dunster. Dunster is filled with historic buildings all around and many holiday cottages. From a medieval castle to parks, you will find a lot of attractions that will drive you out every day. Working watermill, gardens, West Somerset steam railway are among the many places to visit during your holiday at Dunster. If you haven’t already, browse through our self-catering cottages at Dunster and book the one that is ideal for you. Regardless of how long your stay will be, our cottages will make your holiday memorable and magical. We have all sorts of cottages available at different locations so that your preferences are met. From luxuries cottages to dog-friendly cottages, we have it covered.